Today was a welcomed lazy day. The area was gearing up for our first real Winter snow (the snow is falling now! 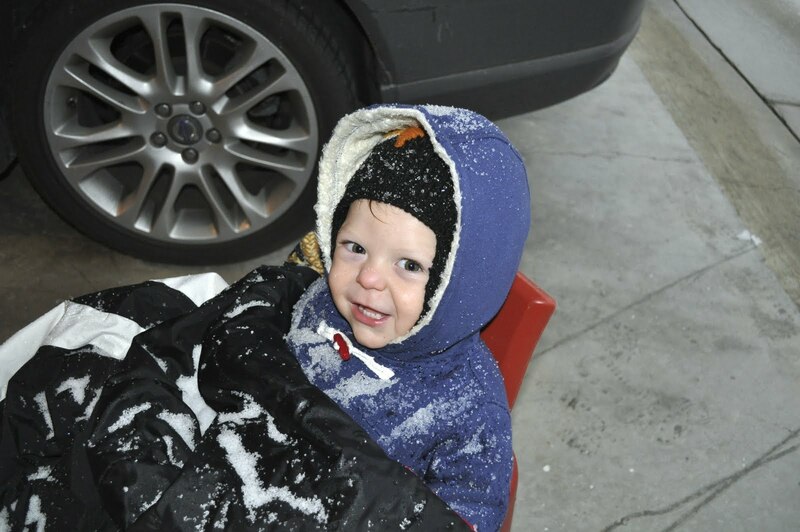 ), and it was nice to be cozied up inside for the afternoon. I logged off of work at 1:00 and caught the last 20 minutes of Roscoe's nap on the couch. One of my goals for this year is to bake on a weekly basis some of the staples that we typically buy. 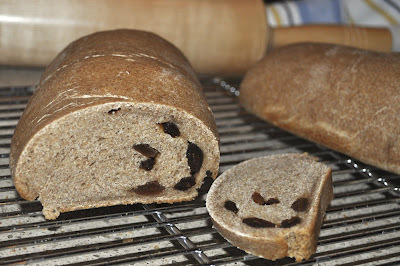 So after lunch clean-up we started the process of baking cinnamon-raisin bread. I'm never very confident when dealing with yeast so my expectations of this recipe were not especially high, but it seemed like an easy and homey thing to do on a freezing, wet, and slushy afternoon. 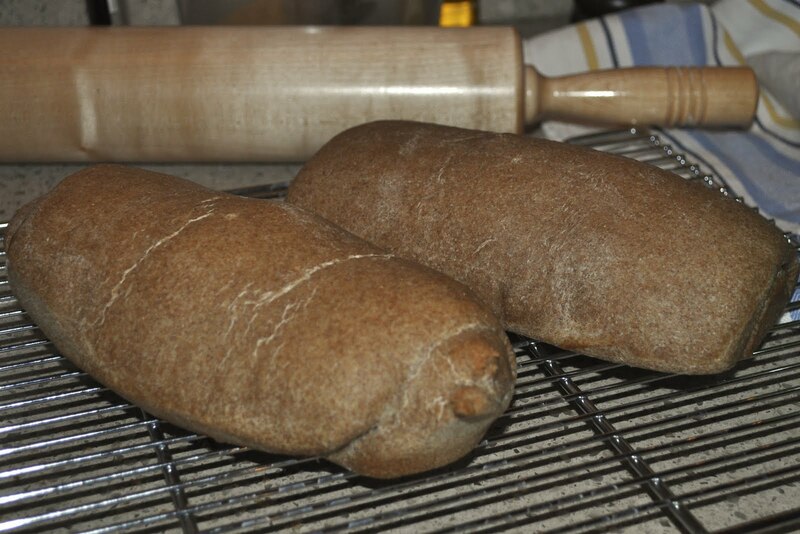 Roscoe and I whipped up the dough in no time and set it out to rise. The craft closet that was recently created to house all of the art supplies that I gathered in one impulsive and Christmas present-inspired trip to Michael's, was just the thing. We painted, and glittered, and glued for over an hour. Then it was time to punch the dough and let it rise again. Andy came home early to avert the inevitable traffic hysteria and we promptly hightailed it to the loft where we intended to complete the final phase of yet another huge project that we had started over the weekend: organize the loft closet. For some perspective, the closet is 80 sq. ft., and when we began we couldn't fully open the door--it has served as a dumping ground for the last 3 years. Of course, all attempts to organize must first result in more chaos as the contents are emptied, redistributed to other areas of the house or thrown away so that whatever remains can be strategically returned to a new (roomier) location. All week I've been working amidst (and tripping over) the many scattered piles and piles of stuff that we evacuated but didn't have time to really tackle--Sunday evening came too soon. 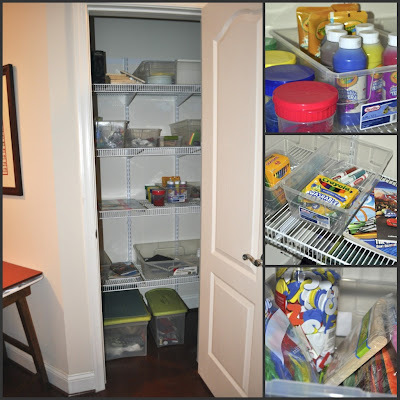 Needless to say, with help from The Adventures of Milo and Otis (recommended for its variety of animals and toddler appeal, not recommended for the many animal cruelty allegations) we were successful in crossing off of our pre-Little Sears to-do list "Loft Closet". After returning to the kitchen we divided the dough into three equal parts, rolled them out, and liberally sprinkled each with rum soaked raisins before we rolled them up and tucked them neatly into their loaf pans to bake while we ate dinner. When our little loaves were baked and cooled we brought out the butter and honey and devoured almost an entire loaf. Dense, moist, nutty, and dotted with just the right amount of raisins, I would definitely make it again. The addition of walnuts, or even chocolate chips alone would be a nice variation. Next up is a shower...still haven't done that today! And then a movie date on the couch. Sounds like some good accomplishments for a lazy day! One thing I can't wait to do with our little girl is fun art projects!! Guess that's still a couple years off though =).